Marcus Garvey, a Jamaican, was the first of many people of color to advocate the rights of all people, especially people of African descent. He is honored by a coin issued by Jamaica, and, that coin, makes the perfect gift to all peoples worldwide as a token of Jamaica and Jamaican contributions to human rights and as a conversation piece to initiate positive verbal exchanges on Jamaica. It has been my experience that almost all Jamaicans take pride in three things: Their almost nationalistic love for Jamaica, their appreciation for education and their desire to brag about all things good about Jamaica. As a frequent visitor to Jamaica, I try my best to get as many Marcus Garvey coins as I can find and in my own subtle way, give these coins away to my golf buddies (as ball markers). The responses are predictable. It is either “Who is Marcus Garvey?” or, “I didn’t know there was a coin to honor him”. In either case, it gives me a chance to talk-up Jamaica and to explain the contributions of Marcus Garvey to the American (and worldwide) civil rights experience. The J$20 Marcus Garvey coin is a beautiful coin. I would like to suggest that all Jamaicans abroad, on their return from Jamaica, bring back as many Marcus Garvey coins as they can (when they get them as change) and then share them with friends. You can be creative in your ways to share the coin. Call it the Microdac movement to Honor Marcus Garvey. 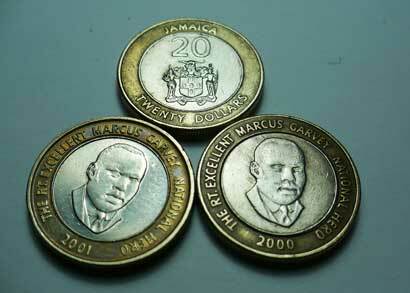 His birthday will be August 17, so, on that day especially, lets spread the word by giving away Marcus Garvey coins.